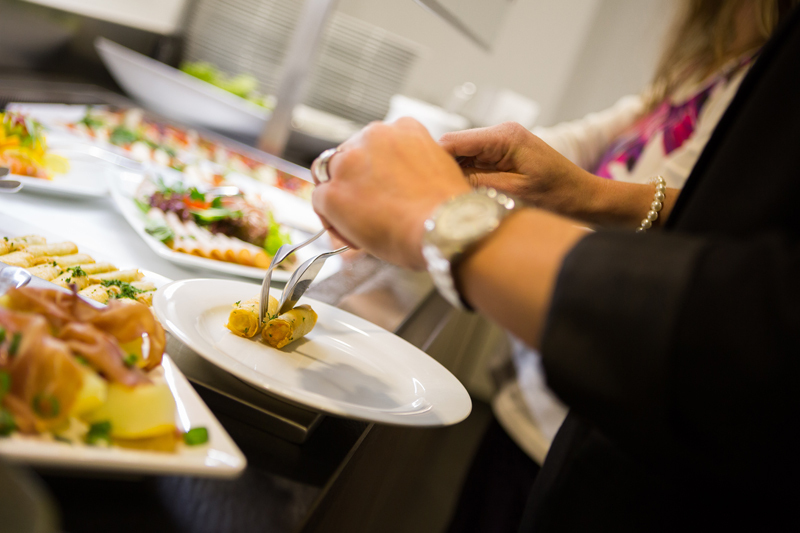 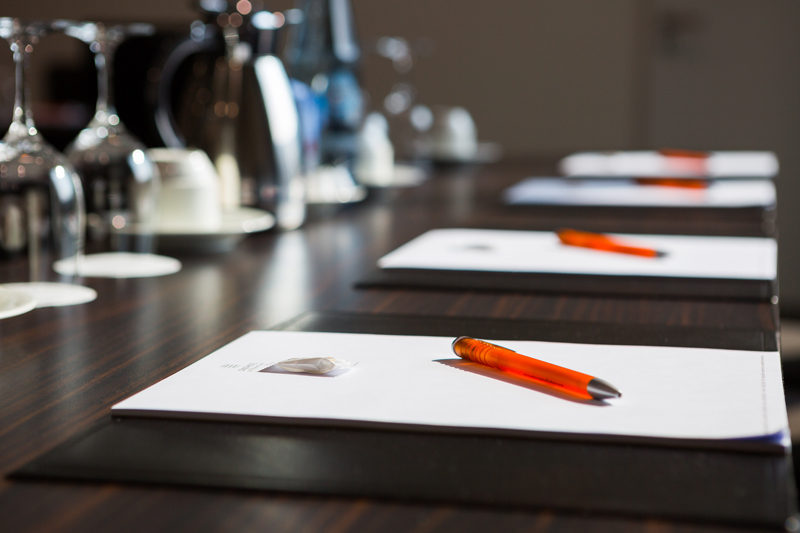 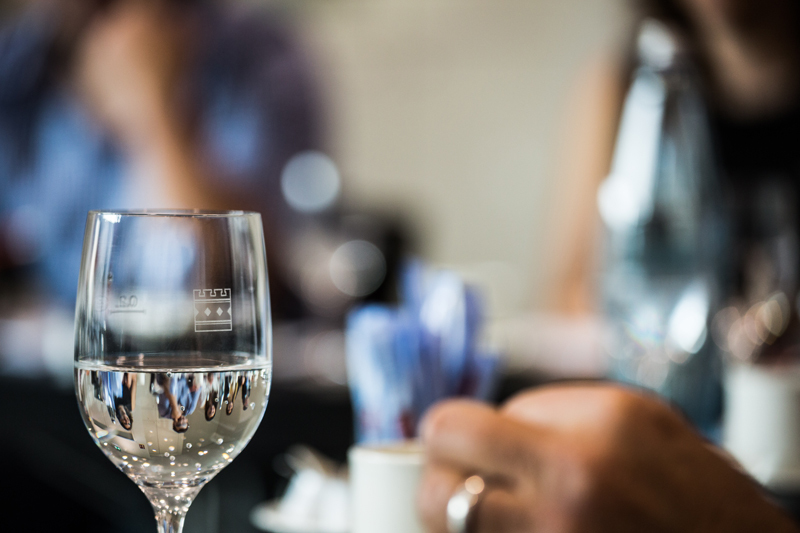 Whether you are planning a team-training in a smaller circle, or a bigger congress, a directors’ meeting, or a customer event; we always have a suitable room, fitting catering and appropriate equipment. 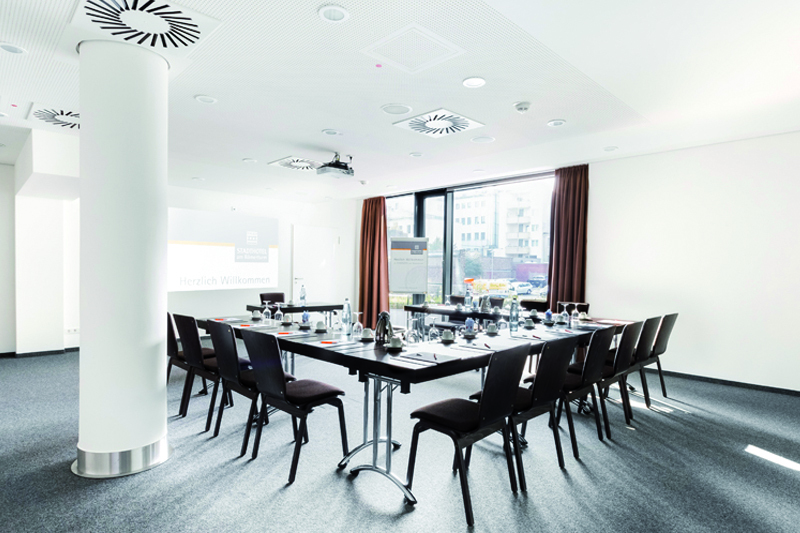 In our 7 conference facilities are congresses with up to 170 people possible. 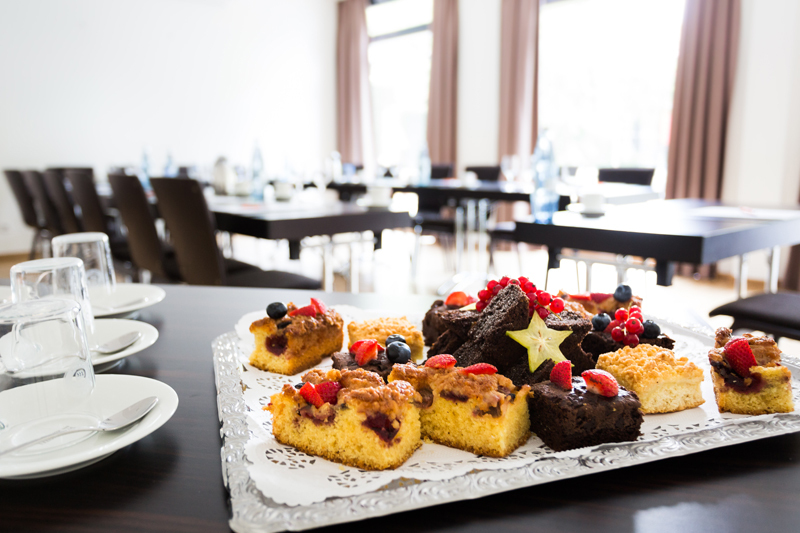 Our reliable service guarantees an enjoyable and smooth course. 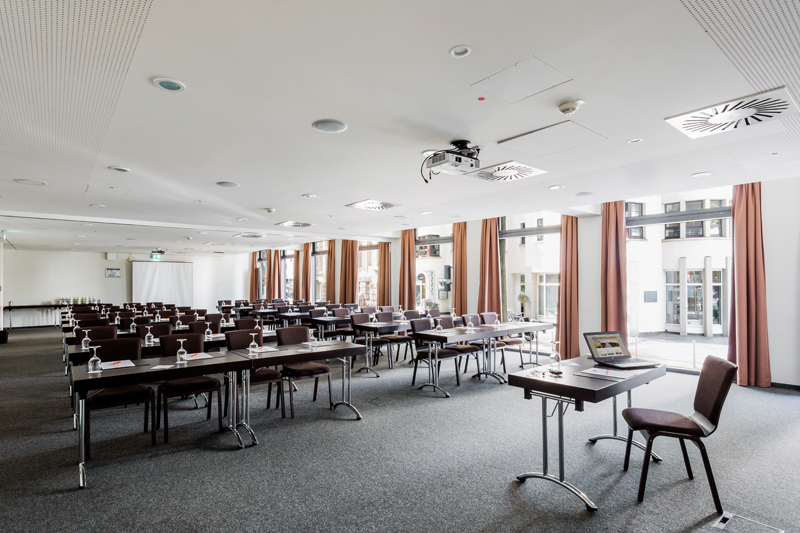 All of our congress-rooms are furnished with modern technology and light-flooded, as well as they are air-conditioned. 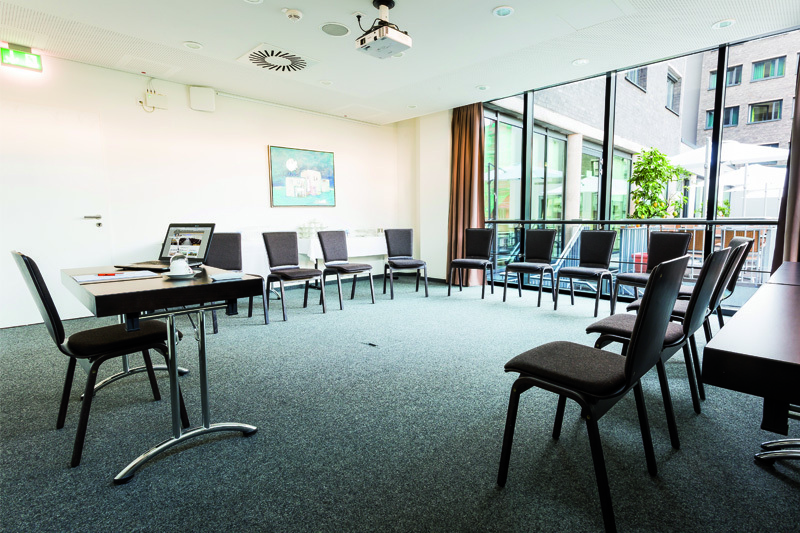 Various seating-abilities make it possible for us to choose the best fitting room for your seminar, so all of your participants can take benefit out of it. 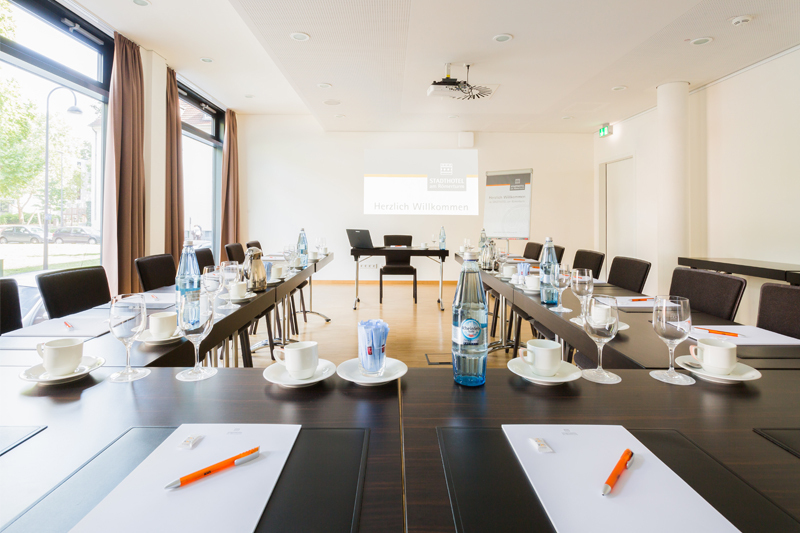 Needless to say the Stadthotel am Römerturm offers you everything you can expect from a modern convention hotel. 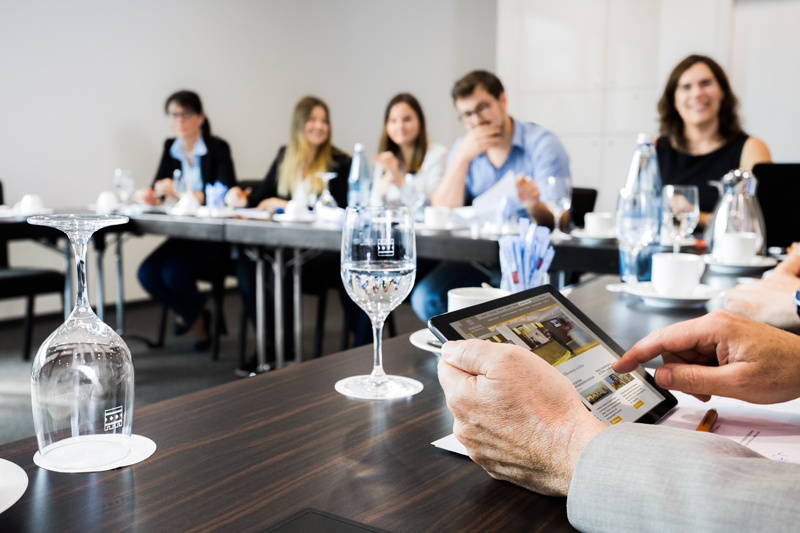 Technology and equipment, such as beamer, flipchart, facilitor’s tool case, microphone system, pin board right up to simultaneous equipment can be provided as requested. 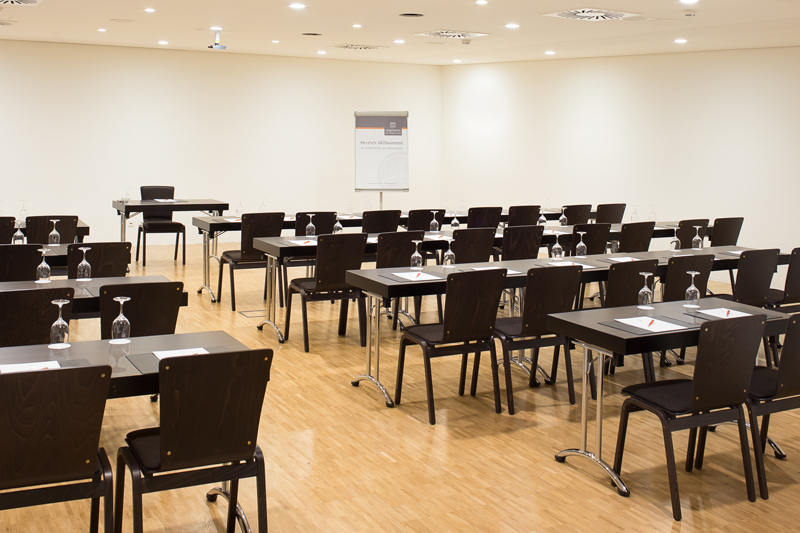 Cooperatively we plan your seminars or conventions with individual standards to lead your meeting to success. 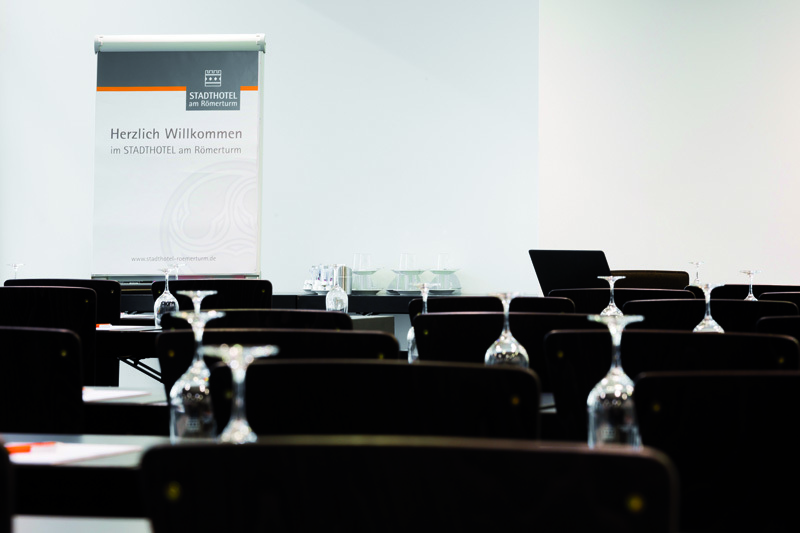 Contact our sales department at reservierung@stadthotel-roemerturm.de or +49 (0) 221 2093 0.